Offering you a complete choice of products which include stainless steel bellows. American Rubber Industries is a well known name in the market to offer a vast collection of Stainless Steel Bellows. Manufactured from advanced technology machines and tools, the presented range of bellows is applauded for its dimensional accuracy, robustness and high corrosion resistance. 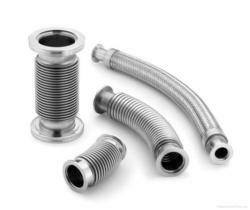 We provide these efficient bellows in a varied range of shapes and sizes to fulfill the diverse customer demands.